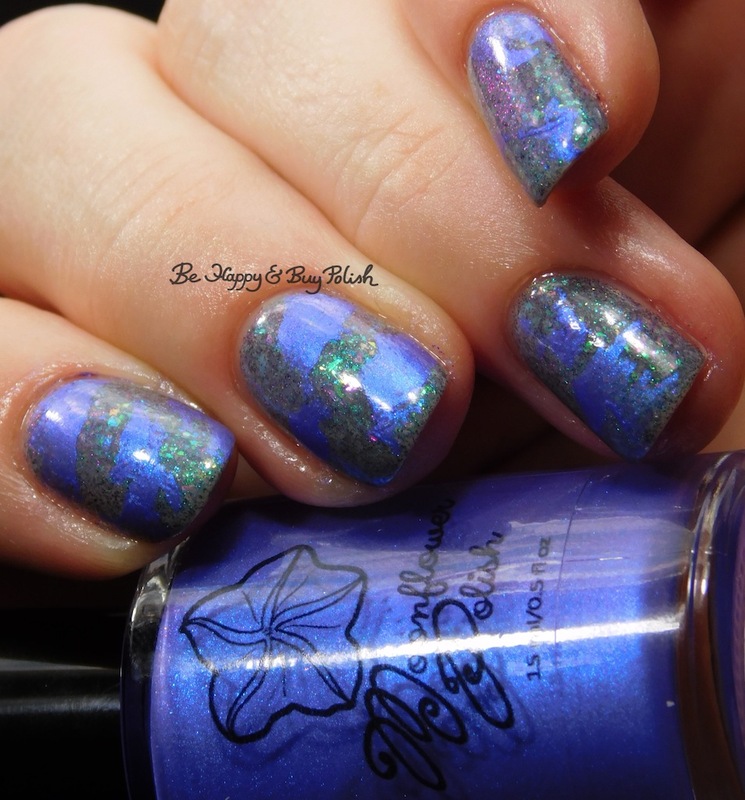 I told you when I showed you the swatch of Fluorite Glow that the glow on this polish was incredible and I hope between the swatch photos and this nail art you can see for yourself how drop dead gorgeous it is! Basically I keep painting over the stamp head until the polish starts to pull up (because it’s drying out). Once I like how it looks, I apply it over a base color to my nails. Pretty simple and easy…and it all started with failing at a different technique!